For every business owner who uses them, scanners have proven a highly valuable asset to their business. Not only does a scanner save you valuable time, it will also enhance the security of your business. 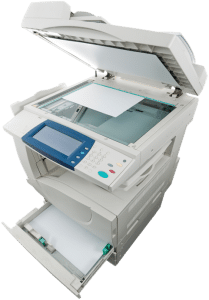 If you own an older scanner, we recommend an upgrade because the newer models offer greater detail and more efficiency. What can a new scanner do to help your business? First, it creates faster processing for information, and if you own a business, you likely have countless documents that need management on a daily basis. With a scanner, it cuts down on the amount of time needed to import information. Second, a scanner will help to free up space in the office. As documents start to pile up, they take up an incredible amount of space. With a scanner, you can convert the paper into a digital copy that can be printed as needed. This creates greater organization, and it eliminates a need for multiple filing cabinets. While we will always tell business owners to use this system, we still recommend that they create hard copies of their most essential documents because it is always good to have a physical copy.